Caption: State Representative CD Davidsmeyer (R-Jacksonville) and students from the Pittsfield FFA pose for a portrait after the ceremonial signing of HB470. HB470 was sponsored by Rep Davidsmeyer. The idea to make corn the state grain was brought to him by Pittsfield Ag students and was a great way for them to learn the process of how a bill becomes a law. Rep Davidsmeyer sponsored the legislation in the House of Representatives. 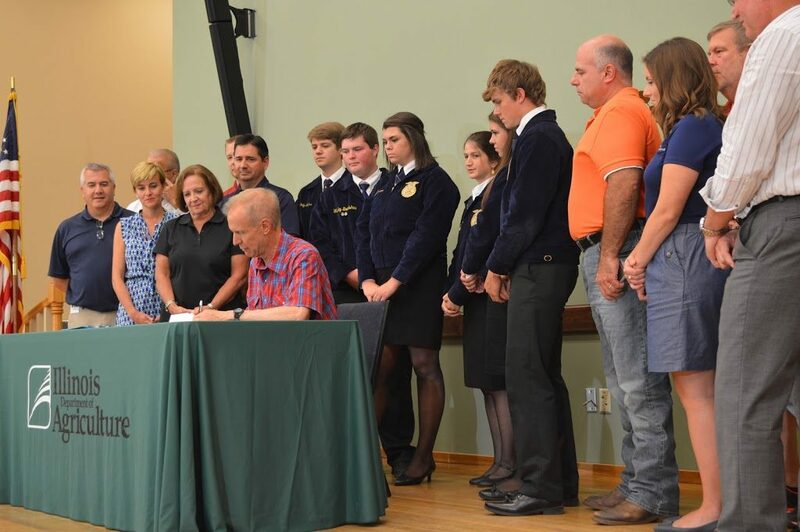 It was signed into law by Governor Rauner at a bill signing ceremony on Tuesday, August 15 at the Illinois State Fair. 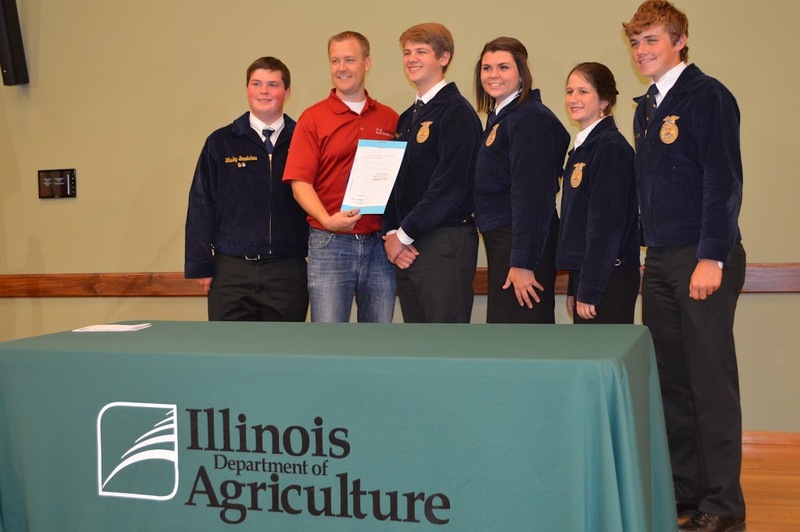 Caption: Pittsfield FFA students and Rep Davidsmeyer watch as IL Governor Bruce Rauner signs HB470.